Genius. I bet the pharoahs were pissed then the grave looters stole their Smiths. 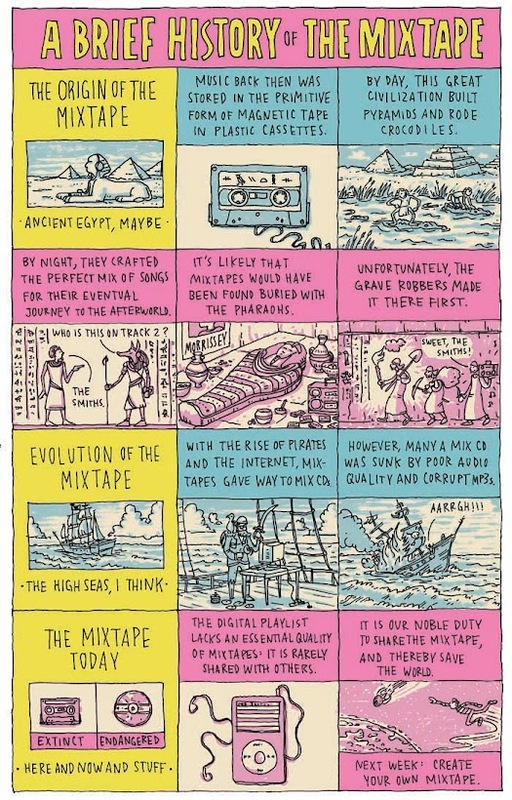 The only thing missing from this strip is the history of the mixtape in the great romances of the ages. Romeo and Juliet? You KNOW he made her a mix tape. How else would she have fallen in love? Eliza Bennet and Mr. Darcy? Duh. It was the only way he could get her to overcome her prejudice. He overcame his pride when she sent a reply in the form of... another mix tape. Yours is officially my favorite blog ever! The deal was sealed when I read not only one but two references to The Smiths, with Morrissey in the background. I enjoy your work very much. Thank you for sharing.